Hey there, lonely cooks: It’s our time to shine. Today, Riverhead releases the anthology, Alone in the Kitchen with an Eggplant: Confessions of Cooking for One and Dining Alone, edited by Jenni Ferrari-Adler. Judging from its impressive collection of witty, confessional and highly entertaining stories, the kitchen may just be today’s literary equivalent of what the bedroom was in the 1970’s. Spurred by her own solo cooking and dining experiences, and touched by similar expressions by others, Ferrari-Adler began the task of compiling the twenty-six personal essays and stories in the collection about two years ago. Illuminating the personal voyage of feeding oneself in it are Haruki Murakami’s ode to making spaghetti, Jonathan Ames’ pastime of “Eggs Over Easy” and Rattawut Lapcharoensap’s meditation on the resonance of instant noodles in his life — for better or for worse. Ferrari-Adler hasn’t forgotten food writers of yesteryear by including M.F.K. Fisher’s classic essay, “A is for Dining Alone,” nor some of today’s favorite food writers with essays from the likes of Amanda Hesser and Paula Wolfert. Together in one volume, the book is a best-of triumph to a decidedly literary (rather than recipe-based) genre of food writing — evident in the fact that it provides an engaging read, but not always very exemplary cooking experiences. Many of the authors do include recipes with their stories, though. At the very least, one can be assured that when cooking alone, one is not alone at all. “I wanted to create this book so I could have a copy.” Ferrari-Adler writes in her Introduction. I want her to create another. 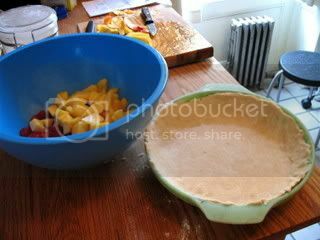 In the meantime, I was thrilled to have the opportunity to visit the native-New York creative writer and editor in her own kitchen in nearby Brooklyn, as she prepared a pie with fresh peaches and raspberries picked up from the Farmer’s Market. I loved the part in your Introduction which describes a phase you went through of eating one food at a time — a potato one night, red cabbage another. Any current food fads? I’m liking fennel right now, and lemons and garlic. I think I add that to pretty much everything. When I have people over to eat, I wouldn’t make the same thing twice. But when I’m cooking alone, I’ll make the same thing for several days straight. It was interesting to see the same habit come up in many of the essays in the book — Murakami eats spaghetti for a year, Ann Patchett eats oatmeal when she’s alone, and so on. Do you have a certain cuisine or culinary heritage that you draw from? Well, my parents are Jewish, but I don’t think the cooking I was brought up with was particularly Jewish… I think I reinvented my culinary heritage many times over. I’ve been really into making cornbread and pies lately, which certainly has nothing to do with my own culinary inheritance. My dad lately has gotten more into cooking, though — he’s been making his own ice cream and things like gazpacho and Bolognese sauce. Since this wasn’t the case when I was growing up, it seems a reflection on how many of us have recently gotten interested in creating things from scratch. 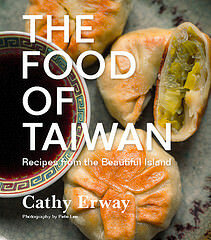 You write mostly fiction yourself — have you also written nonfiction about food? Your Introduction describes the process of acquiring the works and making up a “wish list” of writers to ask to write for the project. Did you end up having to omit any essays in the final cut? Actually, no, we had more of an agreement that if I asked them I would use it, so I got really lucky to have ended up with so many great pieces. What are your favorites? But enough about it from me — enjoy the book yourself and spread the love of cooking alone. This book looks great. I saw postcards for it at my CSA (which I believe J.F-A used to be a member of), so now I’m really off to get a copy. Cooking and eating with others is wonderful, of course, perhaps the height of civilization, but dining alone should be just as great an experience, especially when you have taken the time to make the food. 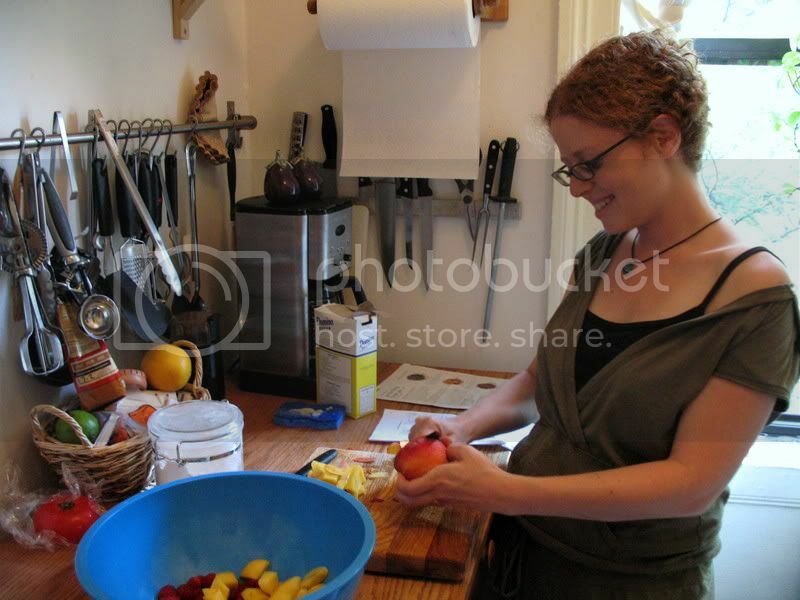 Three cheers for her, and you, blog maven/eater in-er. Meanwhile, tonight I feel like mixing some ricotta with sauteed spinach and serving it entwinned with lasagna sheets and dotted with basil and long grape tomatos from the Hepworths. More power to her (and you)! I just stumbled upon your blog and clicked, as I have a weakness for pretty ladies. I’ll definitely add the book to my Amazon wishlist, though. 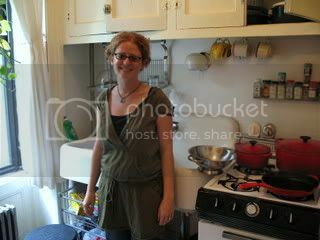 I’m a single live-alone cook and writer myself, and I find cooking cathartic at the best of times, frustrating a the worst of times, and usually something in between. I must say, though, you are supremely lucky to be living in New York when it comes to ingredients. I’ve lived up and down the East Coast and in Europe and now, having moved to Iowa City for law school, I realise just how much we take for granted in the city!